MyNextAdvice helps you grow your business with more referrals and testimonials, and increased client retention. We confidentially identify client pain points and present practical actions you can take to improve their experience. It takes less than an hour per month to use our service. Access a simple business development service and use one of the most powerful sources of truth: client feedback. 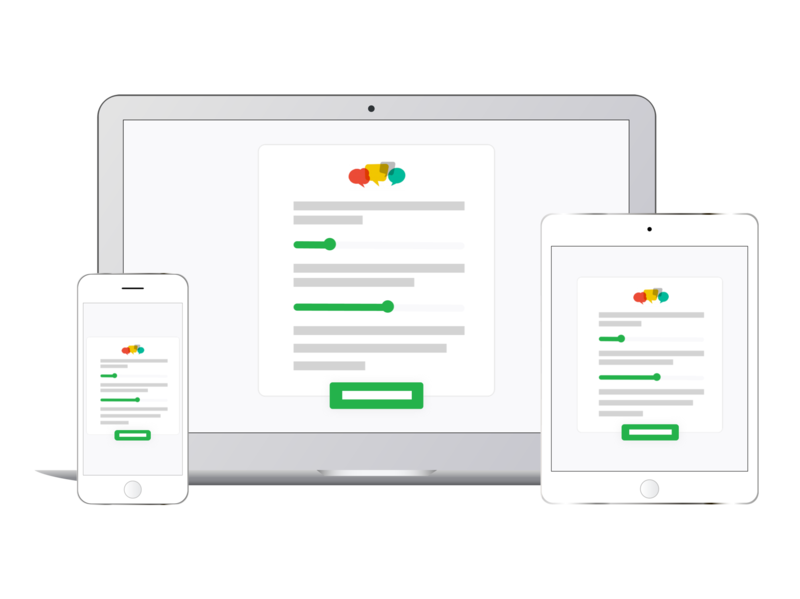 Clients quickly complete the survey online using any device. No personal or financial data is captured. Who are your happiest clients? Who are the clients who need attention? What are your strengths and what can you improve on? Who is a referral source for you? Build a history of compliance of delivering good outcomes and acting in your client’s best interests. Calculate business and client portfolio valuations. 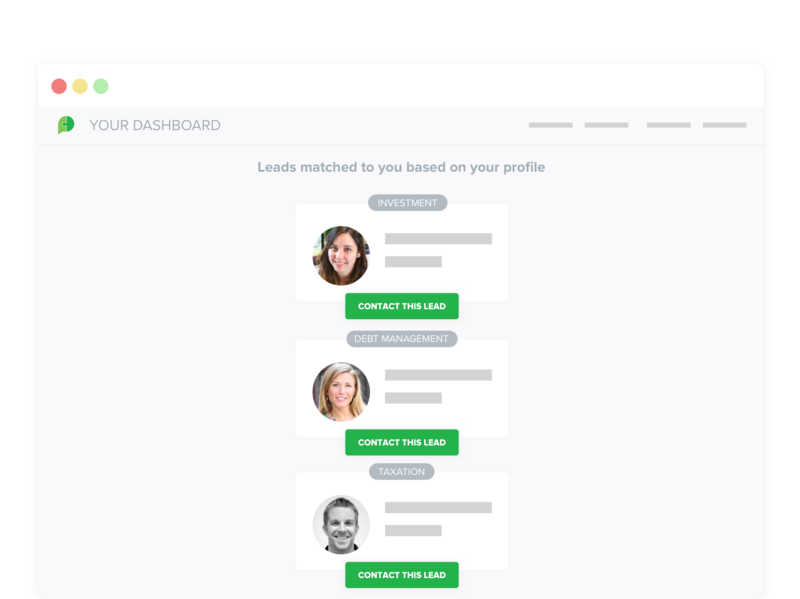 Use your results to access qualified leads based on your preferences and performance. How often should I survey my clients? If you’re using MyNextAdvice for the first time, we recommend sending survey invitations to at least 30 clients. This should lead to at least 10 responses. To make it really interesting you could send these out in two segments (segments could be a demographic, investible asset group or advice category) then compare the two for additional insights. 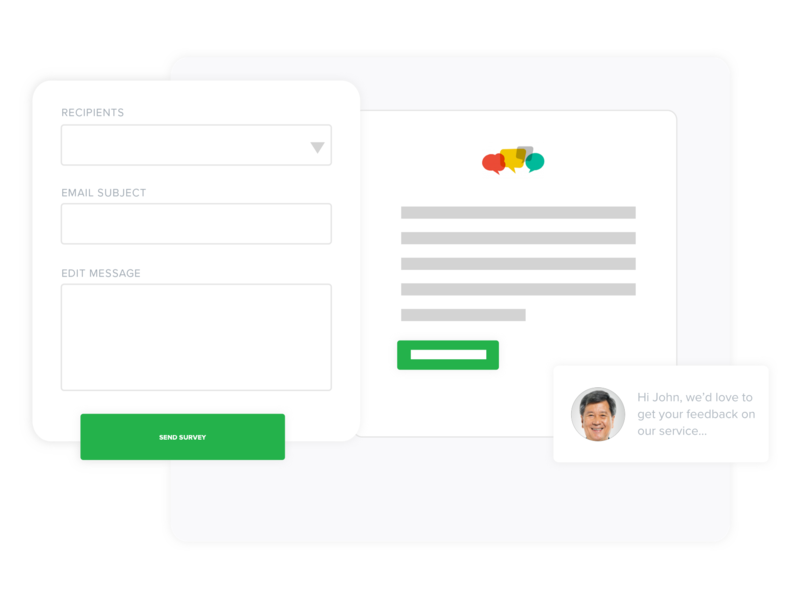 After that, we recommend sending surveys to each of your clients within 2-3 weeks of a major interaction with them. This ensures your interaction is fresh in their mind, and they are better able to provide you with authentic feedback. Regularly surveying your clients demonstrates you are serious about tapping in to their views. It also allows you to quickly close the loop on any issues that arise. Note: we don’t recommend surveying one client more than 2-3 times per year. But if you survey a small group every month you’ll receive fresh data and insights on a regular basis. Is there a limit to how many surveys and invitations I can send? No. We don’t put any limitations on how many times you can survey your clients, the number of invitations you can send out, or how many survey responses you can receive each month. This gives you the flexibility to use the service in a way that best suits your business. There are no limits because MyNextAdvice has been designed to genuinely help you grow your business. Quantity and consistency should be important to your decision making, and you’ll see the best results if you use our service regularly, across your entire client base. This provides you with the best opportunity to generate accurate insights and make decisions based on accurate data. You’re in the business of numbers, so you understand that a larger quantity of data offers a more statistically meaningful result. Unfortunately not. MyNextAdvice is underpinned by intellectual property that guides you through the process of making the best possible decisions about your client relationships. If you prefer the freedom to design your own survey, there are other services available. They don’t offer the unique value that MyNextAdvice can deliver. That said, we are constantly seeking feedback from users and reviewing for improvements. Once you start using the service we welcome your feedback to see if we can improve it in some way. Yes. While we automatically provide a suite of very useful reports, MyNextAdvice has a data extraction function that enables users to quickly download a CSV file of all survey data (from initial use through to the latest survey results) so you can manipulate the data in any way you like to generate bespoke reports. This data can be downloaded at any time your account is active. We have used MyNextAdvice over the last 12 months to gain valuable feedback from our clients regarding our services. The process of surveying our clients is very simple and effective and we’ve been pleasantly surprised by the number of clients who have completed the survey. 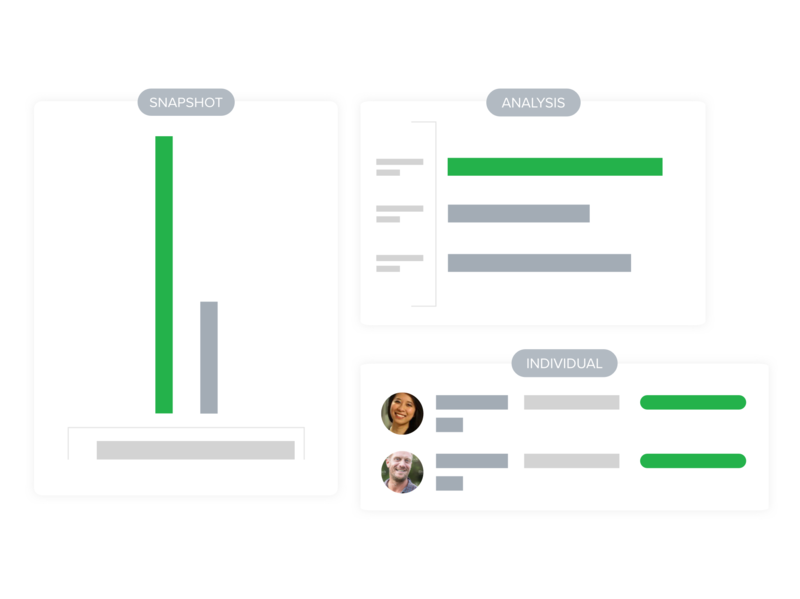 Viewing and analysing the responses is very easy due to the automatic data capture and reporting mechanisms within MyNextAdvice. MyNextAdvice is very user friendly. It provides valuable feedback on the quality of service we are providing our clients, so we are aware of the areas we are performing well in and our areas for improvement. It is very easy to set up a survey, and even easier to view the results. It is a well-used resource within our practice. The insights into my clients’ views of me and my business have been invaluable. 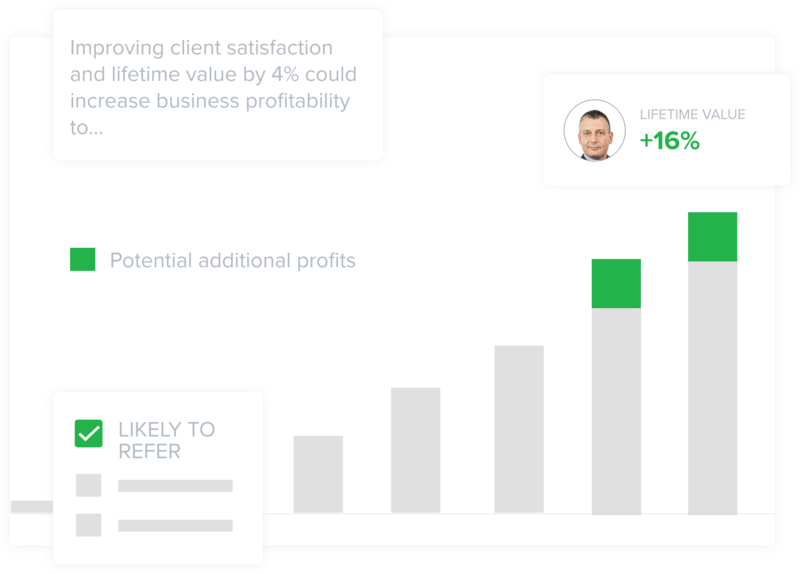 The client lifetime value, retention rates and what-if tools are brilliant. We recently signed up with MyNextAdvice and sent our first survey last week. I would like to thank MyNextAdvice’s support team for their help and quick response time to both emails and phone calls. I found the whole process of sending surveys to our client base very simple. The software is very easy to use and we are looking forward to seeing our survey results. We are excited about this opportunity to work closer with our clients using this great service. I strongly recommend others look at using this as a means of seeking client feedback and establishing the future value of your clients. Before we started using MyNextAdvice, we were having difficulty understanding and developing evaluations for our advisers. MyNextAdvice has been unbelievably helpful to our practice and me. They continuously check with us to ensure that we have all our questions answered and understand how to get the most from the service. I can’t recommend MyNextAdvice more highly to new users. It’s easy to use and we receive absolutely great feedback from our clients for the services we offer. We’re extremely happy with the service that MyNextAdvice provides.